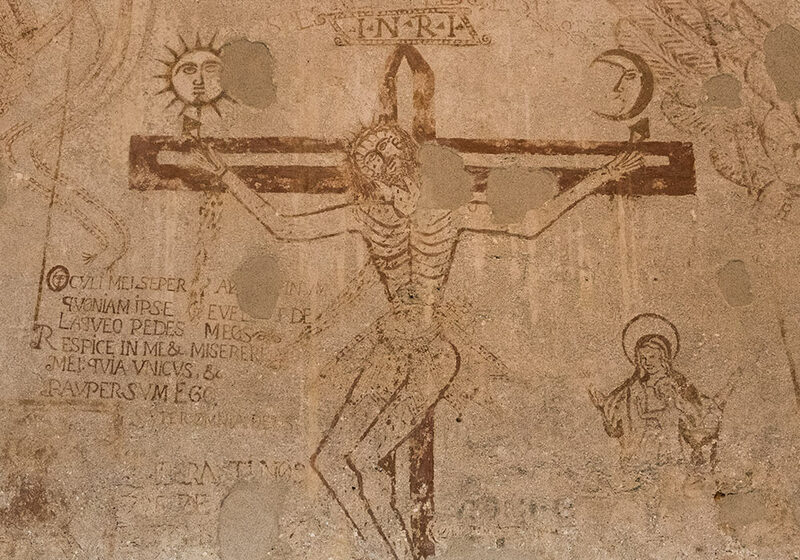 Museum of the Holy Inquisition. Carceri dell'Inquisizione, also known as Carcere dei Penitenziati, (open daily 10–18) in the building next to Palazzo Chiaramonte, Palermo. In 1906 the famous anthropologist Giuseppe Pitrè discovered prisoners drawings in three cells. 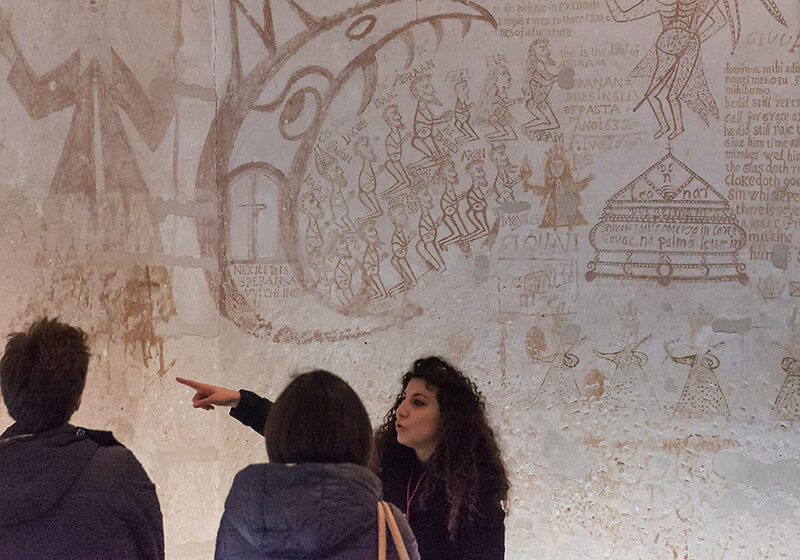 In 2005 restoration work started, uncovering 10 prison cells covered with with drawings made by the prisoners. 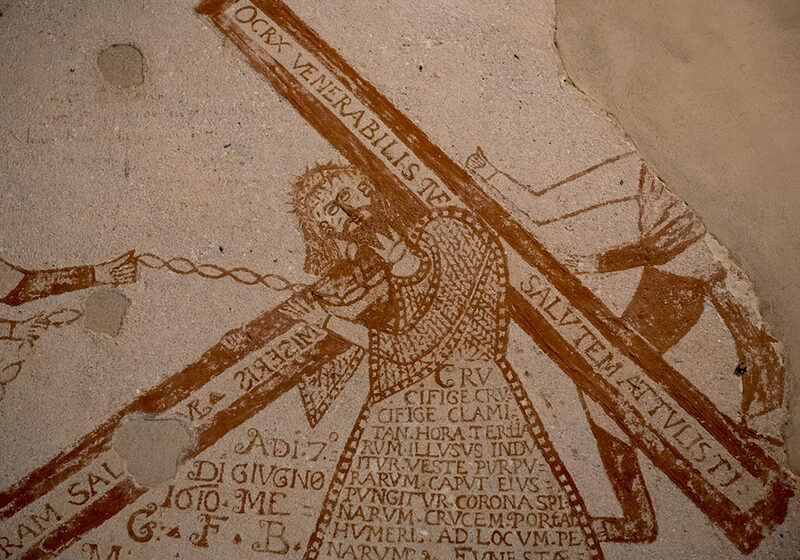 The Museum of the Holy Inquisition is situated in the "Penitenziati" prison right next to the Palazzo Chiaramonte. It exhibits the prisoners' drawings on the wall in their prison cells. 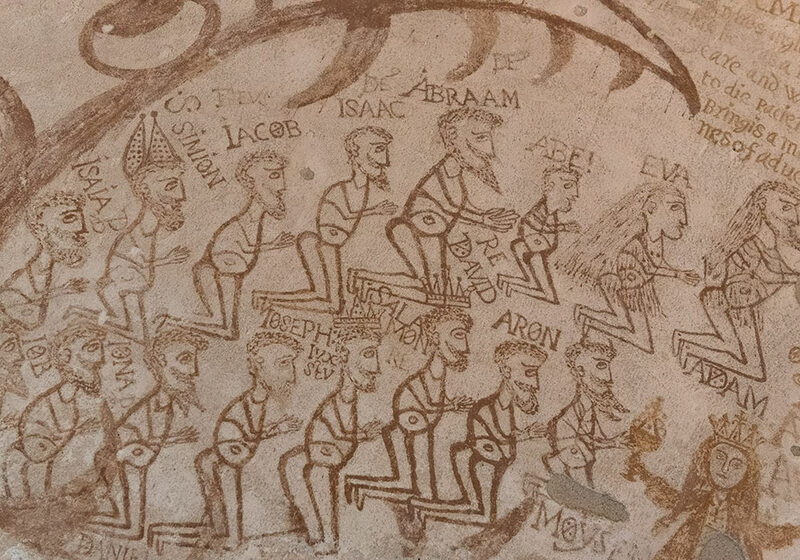 The museum is still a work in progress (no homepage and no or little information about the history of the "holy" inquisition in Sicily or elsewhere, and no information about the "witches", inconvenient intellectuals, artists, heretics, monks, nuns etc. who were the victims of this gruesome office). 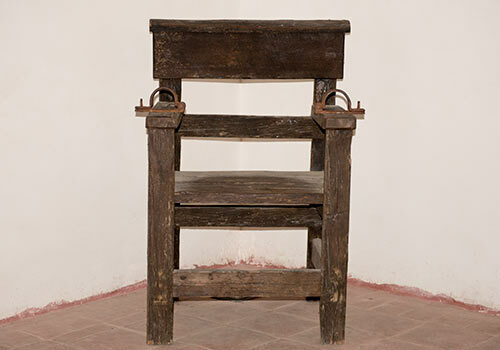 The Museum of the Holy Inquisition was built 1603-1605 because the "Philippine Prisons" inside the Chiaramonte Palace weren't big enough to hold the growing number of prisoners. There were 8 cells on the ground floor and 6 cells on the first floor. When the Holy Office was closed in 1782, all the instruments of torture and all documents were burnt by the viceroy Caracciolo. 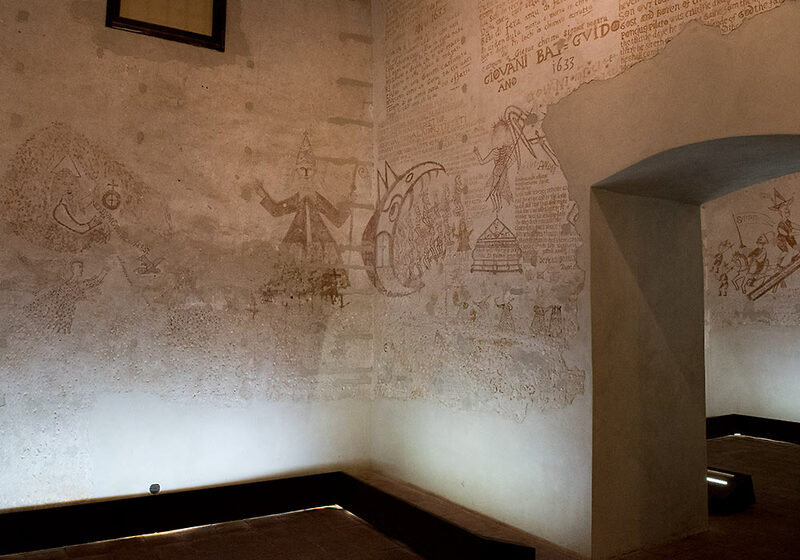 The prisoner's drawings on the wall were covered by plaster in the 19th century when the building became Criminal Court and archive. This Italian e-book is full of descriptions, pictures and sounds! A virtual journey inside the past and a place full of pain and memory. It tries to describe the prisoners’ thoughts and fears. 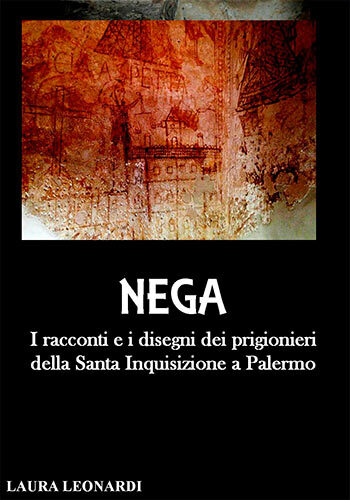 The author tells their stories through the documents found by Maria Sofia Messana in Spain and the pictures left on the walls, discovered by Giuseppe Pitrè. She writes seven stories about a witch, a little child, several sad men devoted to Saint Lucia and a murderer. She explains the meaning of every single sign left inside the prison and gives important insights. At the moment this e-book is only available in Italian. “ […] That evening I heard one of my fellow-sufferer tells about a battle that took place over twenty years ago: the battle of Lepanto. The young man told of this famous battle between Christians and Muslims and the clash between their fleets! We know his story thanks to the sources found recently in Madrid. 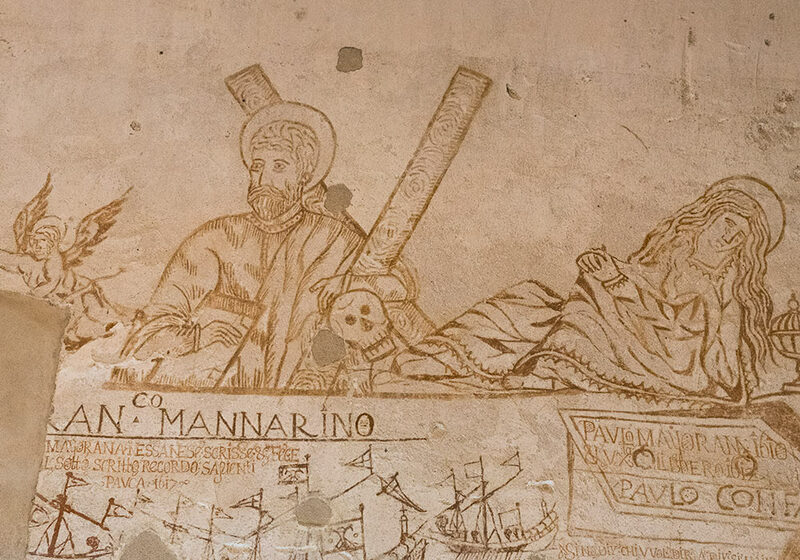 Francesco Mannarino was kidnapped and forced to follow the Muslim religion. It was not unusual. Slavery was widespread in that period and it was still up to the XIX century. The “white goods”, that is white men and women , was easily sold and it was very valuable. Fra Diego La Matina was a monk. He was born in 1622 in Racalmuto, near Agrigento, and he died at the stake in Palermo on March 17, 1658. You can download Laura Leonardi's e-book here!